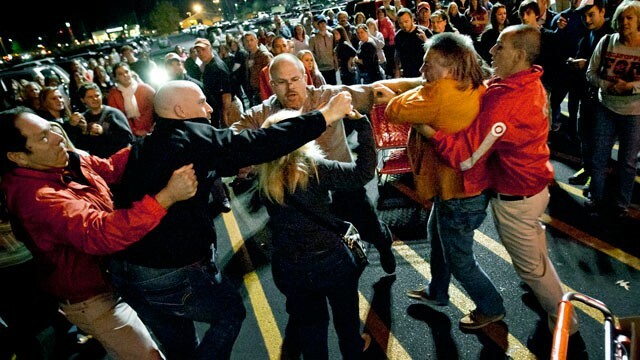 Black Friday can make even the sanest shopper pull out her hair. It’s uncommon to get through the day without facing at least one time-consuming and frustrating problem. Since almost everyone is up before the first light of dawn, standing in line in the cold or in the rain, it’s little wonder that most people are lacking in holiday spirit. However, you can make your day easier just by making sure that you minimize the potential Black Friday problems before they come up. Preparation is key in this regard. Pickpocketing and identity theft are both quite common on Black Friday. Make sure that you are aware of your financial information, purse, wallet, and everything else during the entire trip. Even doing this, you may still discover that you are information was stolen. To minimize the damage, only carry the actual credit cards and debit cards that you plan on using. If possible, you might even consider getting a black Friday specific credit card with a set limit of no more than $1000 or $2000. If it is a Visa or MasterCard, it should be accepted at just about any store. As for checks, only carry a few at a time. Do not carry your entire checkbook. The same goes for your passport, Social Security cards, and other things. You will need your driver’s license, but if you’re not leaving the country, leave your immunization records, marriage certificates, birth certificates, Social Security cards, and everything else that you may carry in your purse or bag behind. Make sure to pack ibuprofen, Tylenol, or whatever else it is that you used to treat headaches, cramps, and pains. If you’ve been Black Friday shopping before, you know they can be a madhouse, particularly when they are deals out there like, “Save 25% on Macys promo codes in addition to double coupon value plus bonus points.” You don’t want to have to give up your place in line because of a headache. Also pack Band-Aids, Neosporin, Q-tips, hair ties, decongestants, and throat lozenges. With these things, you’ll be able to stand in line for far longer. Make sure that you know where you’re going and when you need to be there. Having a clear route planned in advance can help you avoid a lot of the stresses that you otherwise face. If you are going to be in an area that you aren’t familiar with, make sure you have a GPS as well. If you live in a larger city like Chicago and Detroit, it may be a good idea to have a GPS anyway. It’s not unusual for cities to cordon off certain portions of the street for celebrations, parades, and the like. Preparing for Black Friday problems doesn’t have to be time-consuming. Just make sure that you only carry the information that you actually need to make your purchases. Carry nothing more. For medical supplies, make sure that you pack painkillers and other essentials to make sure that your day isn’t derailed by common maladies. And to save time, get your route planned in advance. 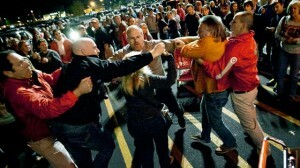 Have you ever battled it out on Black Friday morning?